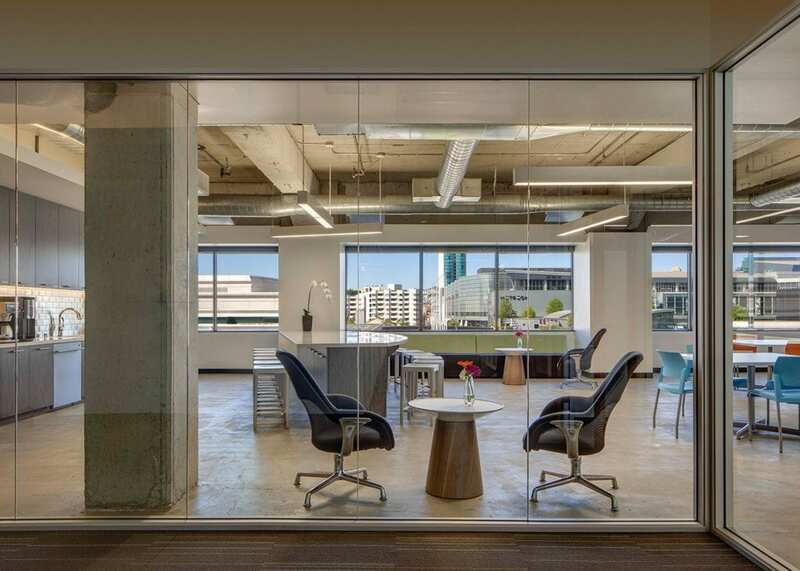 Located at the heart of the new tech boom in SoMa, Truebeck constructed an open, modern, and collaborative workplace on two floors at Kilroy’s 201 Third Street. 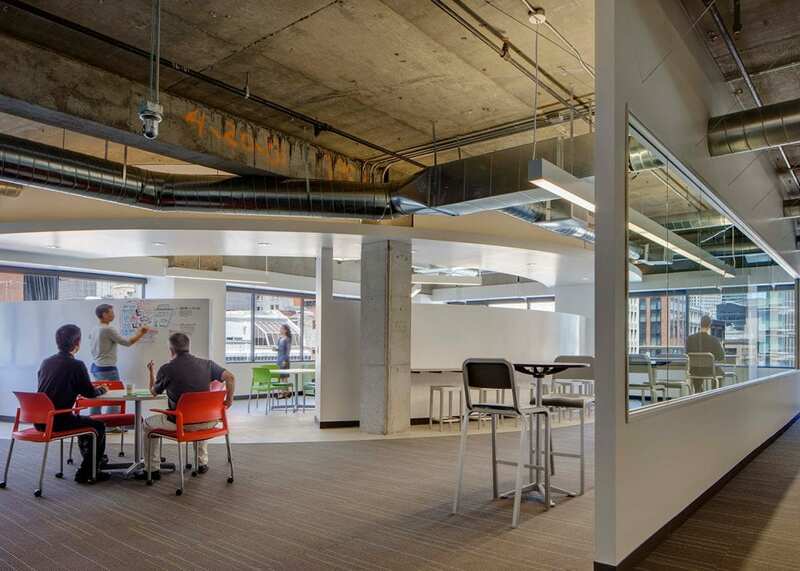 Features of the facility included open floor plans, high ceilings, natural light, exposed and polished concrete floors, upgraded fixtures, high quality finishes, and acoustical clouds designed to reduce echo and sound clutter. 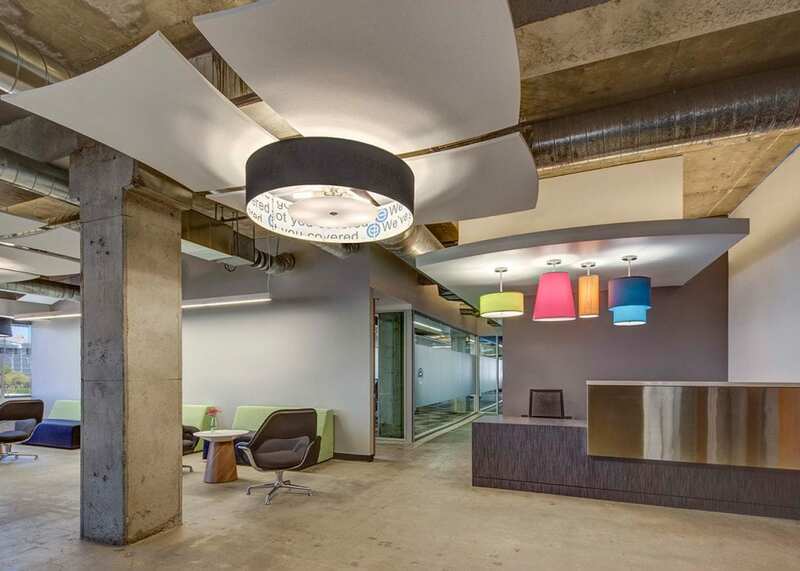 Construction also included an additional lounge geared towards leisure activities such as video games and ping pong, break-out spaces, a kitchen overhaul, “Idea Paint” wall coatings (turning wall surfaces into white boards), common areas, and a stairway installation.